It took about a week for the shareholders to reach an agreement to settle their claim against RBS. The judge agreed to put the trial on hold so the parties could discuss resolving the case. It would appear that costs would have been saved if the case had been settled at an earlier stage rather than at the door of the Court. This is because the majority of legal costs, which probably run into millions of pounds, have already been incurred by this stage. 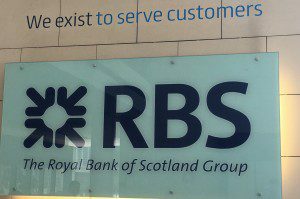 Any settlement would be likely to involve RBS meeting a large proportion of those legal costs. We would suggest mediation would be best undertaken much earlier in the process, before costs become a potential stumbling block. The claim for £700 million was brought against the lender by 9,000 retail investors and 18 institutions in the action group. It derived from a rights issue overseen by the former RBS chief executive Fred Goodwin, who now will not have to give evidence in court. The bank is still 73 per cent owned by the government and therefore we would like to know how much has been paid in settlement but because it is confidential we may never find out, unless it is recorded in the accounts or MPs ask for details.